It's all happening in Binghamton. I bet that's a sentence you don't read too often. But finally, the sleepy Triple Cities seem to have downed a triple espresso and started to figure out that good food doesn't always have to be Italian. I have nothing against our plethora of Italian eateries, of course. It's a birthright here, great Italian food, whether you like your red sauce sweet or savory. But it's well past time for the Southern Tier to catch up to the Finger Lakes, Syracuse, and Buffalo to claim a more prominent food identity. When I first moved here, in 2000, the Lost Dog Cafe was blazing the trail. They had a chicken muffuletta style sandwich back then that, combined with a side of sweet potatoes fries, soothed my early 20s soul. Over the years, their menu has evolved as has my palate, but they're still doing it right and packing their seats full of patrons craving something a little different. 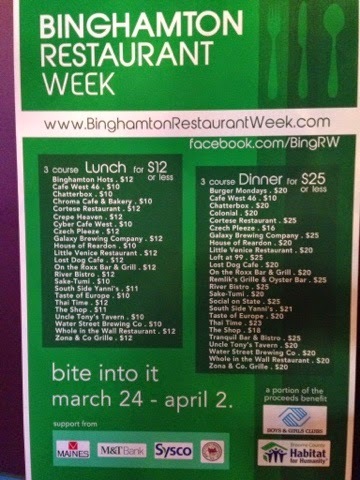 Others have joined them, and now we have Bingamton Restaurant Week. 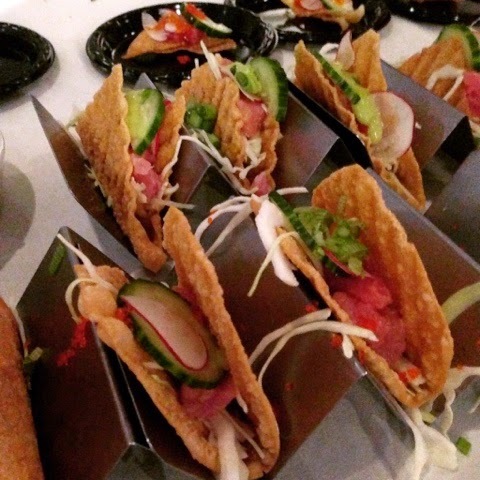 This year's BRW is March 24 to April 2, and 25 restaurants are participating. 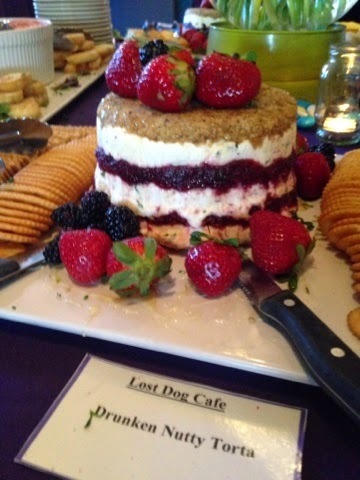 I was among a lucky few invited to a VIP preview party last week at (that's right) the Lost Dog Lounge. That thing was money, and I am working on getting the recipe to share here with all of you, because I don't think anyone should have to live without at least one bite. It was awesome. There's another newbie in town besides the three new places I described to you in last week's post, The Shop. It's not open yet, but will be by next week. It's a creperie, which has all kinds of nice connotations for me, like a trip to Europe junior year. 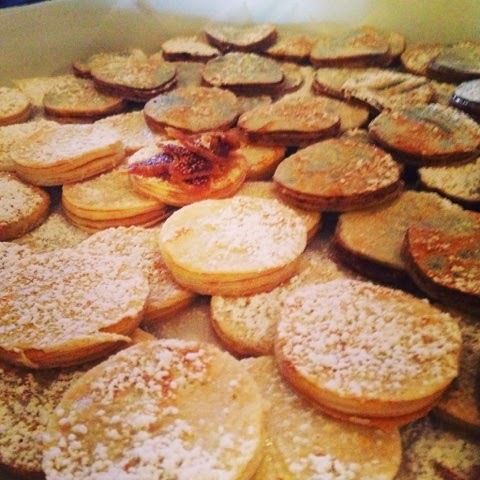 At the party, they had a tray of rose hip and fig crepes, and Nutella crepes. The Nutella had a lot more flavor, and really reminded me of Paris. The crepes themselves had good flavor and authentic texture, thin and fragile. I can't wait for The Shop to open. 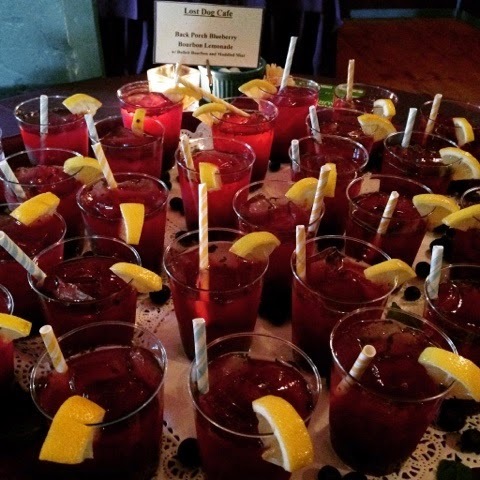 So if you live in Endicott or Owego and don't often get into Binghamton to eat, Restaurant Week is a good opportunity to try out one or two places you might have been curious about. Newcomers The Colonial, Chatterbox, The Shop, and Social on State are all serving three course dinners for $25 or less. BHS favorites Loft at 99, Zona and Co Grille, and Remliks also are on the slate. I'm hoping to get to one or two that I've never reviewed before, like Whole in the Wall and Czech Please. - Whole in the Wall's cream of mushroom soup is less creamy and more sweet/savory than most. I guessed there might be a hint of tomato paste somewhere in there? I liked it, and will be trying it during RW. - Social on State has perfected their chicken osso bucco recipe. They were cooked a little more well done than when I tried them initially, and I quite liked it. 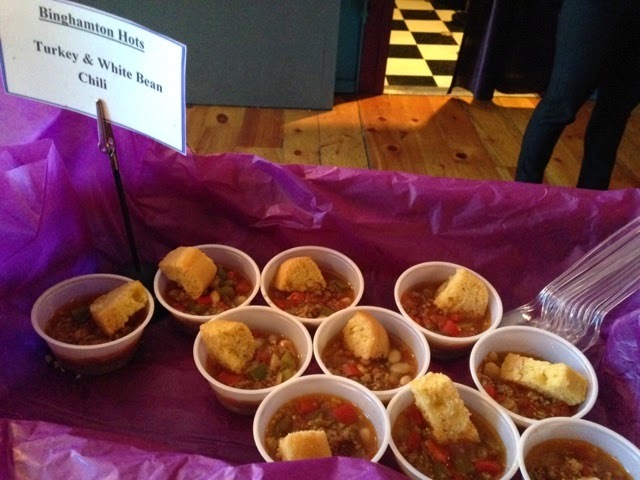 - Binghamton Hots had some killer turkey chili and cornbread, which I never would have guessed in a thousand years. It's a brothy brew, not too much tomato, savory and satisfying. If it's on their RW menu, I recommend it. - Zona's sushi is HOT. It has pickled habernero chili slivers hidden in that little roll. Get a beer ready and dive in! 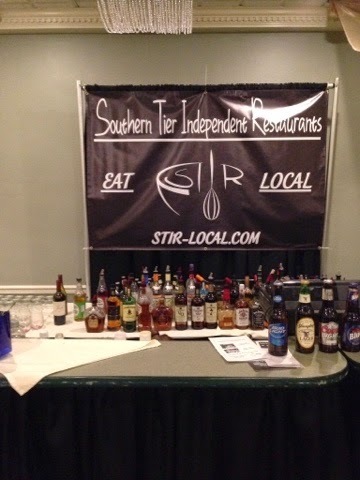 You know, one food event in a week just wasn't enough for me, so this past Sunday, I grabbed my friend Big Hungry Carrie, and we hit up Southern Tier Independent Restaurants' 2015 Tasting Party at Traditions at the Glen. I am going to lay this down for you right now: this was the best food show to which I have ever been. Yes, I sit on the STIR board, so I knew a lot of people there and that added to the fun, but no joke, the STIR member restaurants pulled out all the stops for this thing. 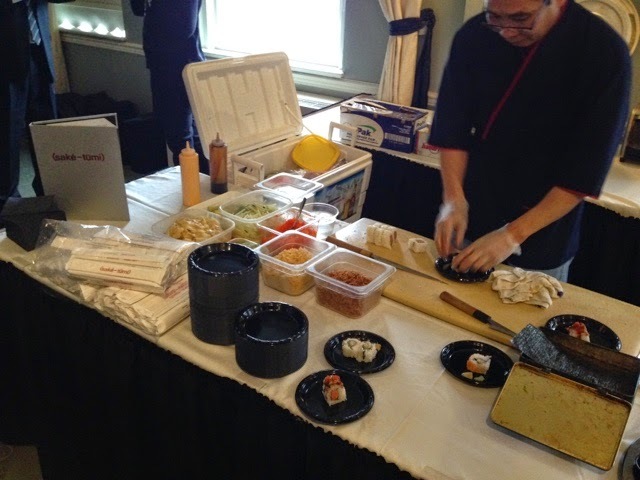 Not only did the participating restaurants bring their A games with great dishes, but there were five demonstrations in an adjacent room, allowing you to eat a little, then escape the big, busy ballroom, sit a spell, and learn something. I attended P.S. 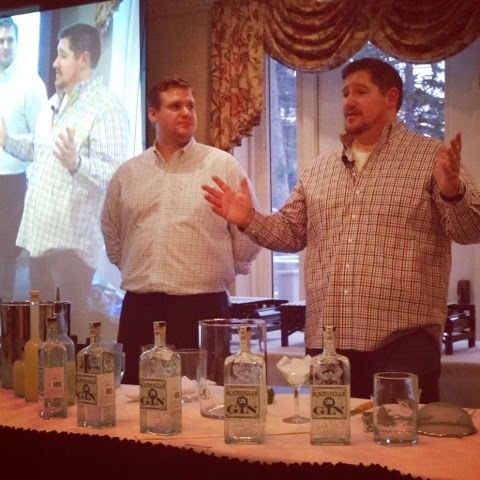 Restaurant's, Loft at 99's and Food and Fire's demos, and learned more about red curry (with delicious results), local gin and giant ice cubes, and how to prepare a BBQ brisket like a badass. 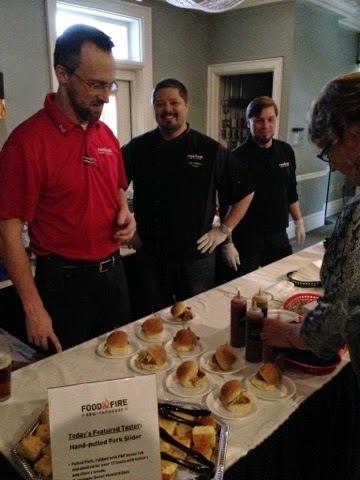 I know I commented, when I reviewed Food and Fire in January, that their BBQ was not my favorite. 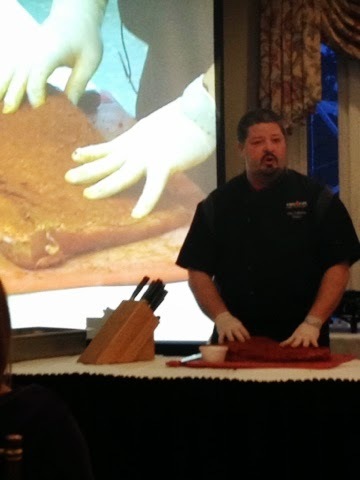 I have been proven wrong, because that brisket was juicy, lightly smoked, and utterly divine. 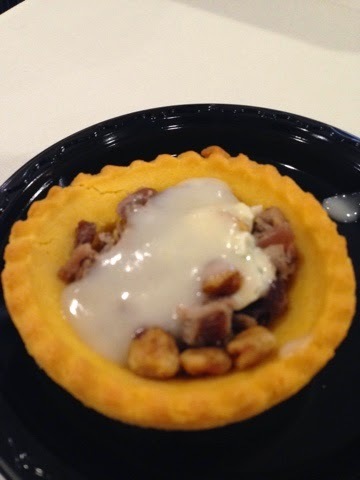 From P.S., a delectable mini duck pot pie in a buttery, flaky pie crust. Rick, tender duck breast, a little white gravy, some corn, and that yummy, savory crust made for about four stellar bites. I hope Rick puts this thing on the menu. 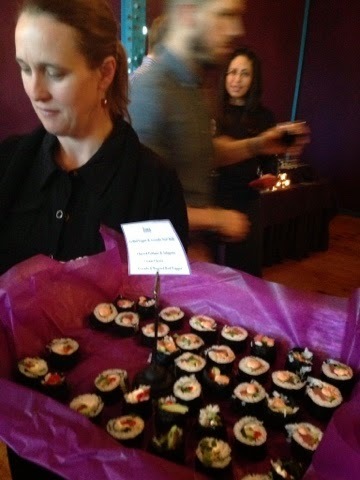 Sake-Tumi was there, rolling fresh sushi right in front of guests. I have literally never seen that at a local food show, and the end product was fantastic. Between STIR's event and the peek into Binghamton Restaurant Week, I can state with authority that the Southern Tier finally has its legs under it in terms of its food scene. This is an exciting time for a foodie in the Tier! In fact, with all this goodness, I can't imagine a reason to choose a chain over a local restaurant. I want to wish all the participating Restaurant Week eateries good luck, and encourage you to try and get out at least once, if not more, between March 24 and April 2 to take advantage of the deals they'll have. I also congratulate the STIR members on a wonderful first event as a group - it was really outstanding, and I can't wait for the next one! If you live in the Triple Cities, it's a great time to be hungry! My hunger is big; my personality is bigger!